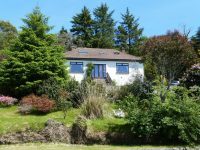 A friendly and comfortable detached bungalow overlooking the Galloway hills, with beautiful gardens and ample parking facilities. 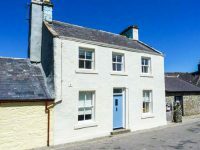 Situated in a quiet residential area just a 5 minute walk from the pretty rural market town of Newton Stewart which has numerous Restaurants, Pubs, Cafes and Cinema. 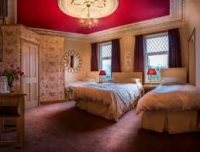 We offer a modern double room with en-suite shower facilities and a twin room with en-suite shower facilities, both including Flat Screen TV/DVD with freeview, tea and coffee making facilities and hairdryer. 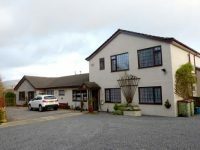 Creebridge Lodge offers 5 bedrooms of accommodation in Minnigaff near Newton Stewart, Dumfries & Galloway. 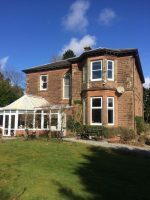 The B&B is ideal for exploring the Galloway Forest Park and surrounding Scottish countryside, as well as being within easy walking distance to all local amenities. All of our bedrooms offer en suite facilities. The house, formerly known as Masonfield House, is full of character with many of its original features. 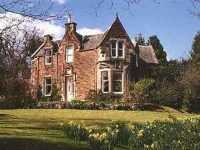 It was built by James Kinna in 1873, who also built nearby Dunbar and Riverstead houses. 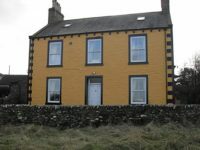 We have 2 double bedrooms and 2 twin bedrooms, each with their own en suite bathroom. All rooms feature Freeview TV, tea and coffee making facilities and a hair dryer. A trouser press is available on request. We also have a fabulous 4 poster bed available. Smoking is prohibited in all rooms. Unfortunately we no longer accept pets in the B&B. We provide a lock up for bikes and drying facilities. We also provide a laundry service if required. For breakfast we provide a full cooked breakfast, fruit juice, toast, and a selection of cereals. Continental breakfast is also available. Early breakfast is also available please enquire for details. There is a large off road parking area at the front of the property for staying guests. 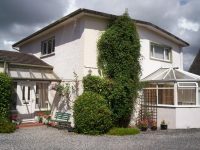 Situated in Newton Stewart, Craighindle features self-catering accommodation with a patio and free WiFi. This holiday home provides barbecue facilities. 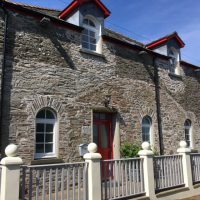 The holiday home includes 3 bedrooms and a kitchen with a dishwasher and an oven. A TV is available. 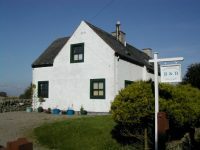 Stranraer is 24.2 miles from Craighindle, while Portpatrick is 28.6 miles from the property. Glasgow Prestwick Airport is 39.1 miles away.